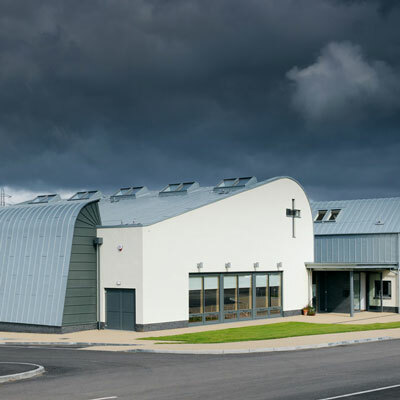 Westhill Community Church was a new, green field project in Aberdeenshire. Its highly contemporary style was designed for maximum functionality and to encourage use by the wider community. Natural light and climate controllability were the central considerations for the clients of McLean Architects during initial discussions - a common request for high ceiling, large space developments. Luckily, McLean Architects, based in Glasgow are very familiar with both the products and customer service levels offered by FAKRO, which is who they turned to for inspiration. 33 FAKRO roof windows were discreetly positioned to flood the stage with natural light as well as illuminate a cluster of buildings which formed the sanctuary, low rise foyer and adjoining offices. "We specified FAKRO products because of the excellent technical support and the option to specify matching zinc flashings." Products included electrically operated FTP-V U3 windows with a rain sensor, specially constructed EFW Kerb Upstands were made to enhance the internal light with combination flashings, FAKSV17 Smoke Vent windows, wall switches and remote controls. The wider project involved the construction of a cafe space and multi-use community hall on a green field site in Westhill, Aberdeenshire. The building was designed around a central sanctuary with ‘glulam’ structure. 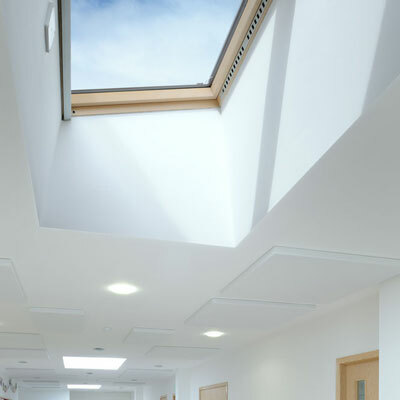 Also high levels of insulation were installed to minimise heat loss throughout the building which, when combined with the climate controlling functionality of the roof windows, fills the building not only with natural light but with fresh air too, all perfectly managed by the use of rain sensors. 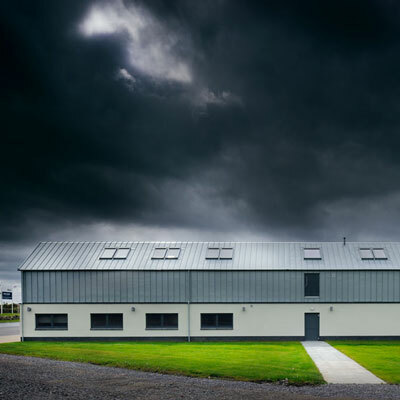 Project Architect Mark Dysart of McLean Architects Ltd commented, “We specified FAKRO products because of the excellent technical support and the option to specify matching zinc flashings. These were crucial to achieve a fully co-ordinated appearance”. 0141 353 2040 and at: mcleanarchitects.co.uk.